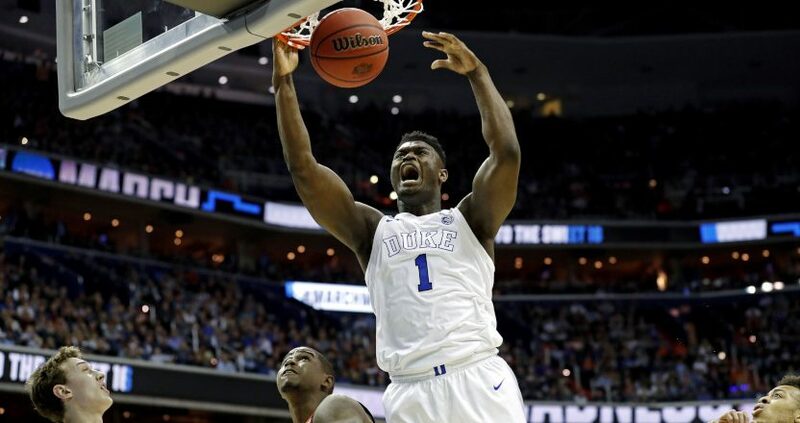 While Duke fell behind in the first half, Zion still produced some big highlights. And made some overall statistical history, too. That’s pretty good company to be in. All in all, Williamson had 11 points on five of eight shooting in the first half, plus four rebounds (three offensive), two blocks and a steal. We’ll see what he does in the second half, and if Duke can come back from this halftime deficit.